Combining expertise with encouragement, our team of licensed physical, occupational, and speech therapists provide comprehensive rehabilitation and restorative services. Therapists work in partnership with health care providers to determine  optimum plans and routines to reach goals. 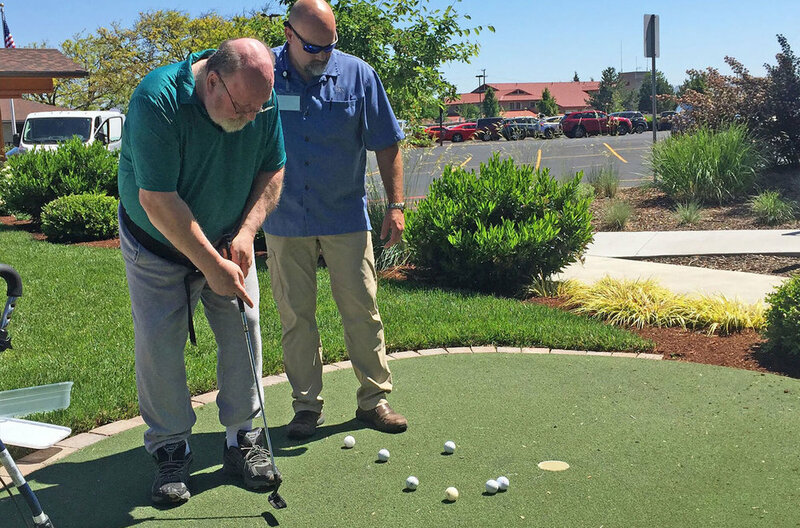 The on-site team utilizes the newest technology and equipment, along with an outdoor setting that mimics the walking surfaces and conditions of home — complete with garden beds and putting green! Physical therapists specialize in movement and motor control. Services include stroke rehabilitation, fall prevention, strengthening programs, wound care, and orthopedic rehabilitation. Residents and therapists work together to improve range of motion, strength, balance and coordination, as well as body mechanics and posture to prevent further injuries. 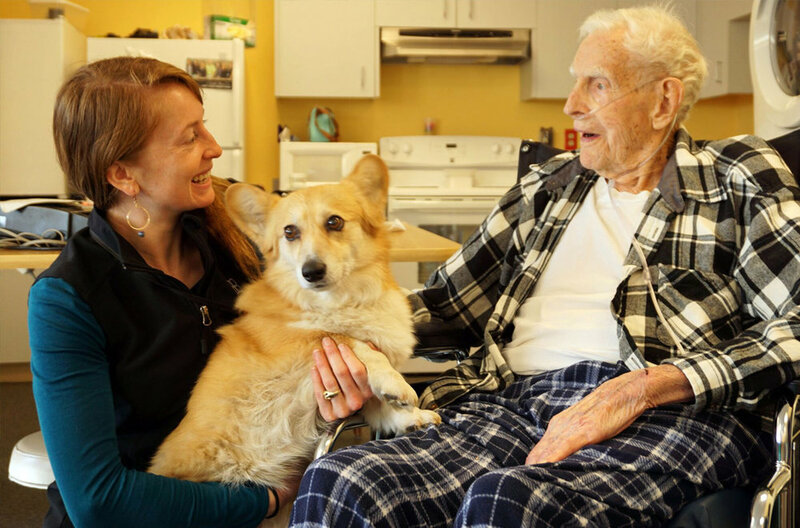 Therapists provide tailored treatment plans and exercise programs for each resident. Occupational therapists specialize in helping you get back to what “occupied” your day. For those with an illness or injury, occupational therapy helps achieve a level of independence in eating, dressing, toileting, bathing, cooking, housekeeping and leisure activities. Therapy also provides practical training in using adaptive equipment and new strategies, as well as balance, problem solving and judgment. Speech-language pathologists specialize in assisting those who have an illness, injury, or disability affecting the ability to communicate and challenges related to swallowing disorders. Strategies and plans are tailored to each individual. Treatment may focus on increasing intelligibility of speech, using alternative devices to improve communication, addressing cognitive functioning, and improving swallowing safety through oral exercises and diet modification.